I'm very happy to announce that we've redone our top selling Arista Engagement ring to now be a 'unibody' or one piece ring design. This ensures maximum strength for the ring without the common weld point that most rings have between the shank and the prong head portion. 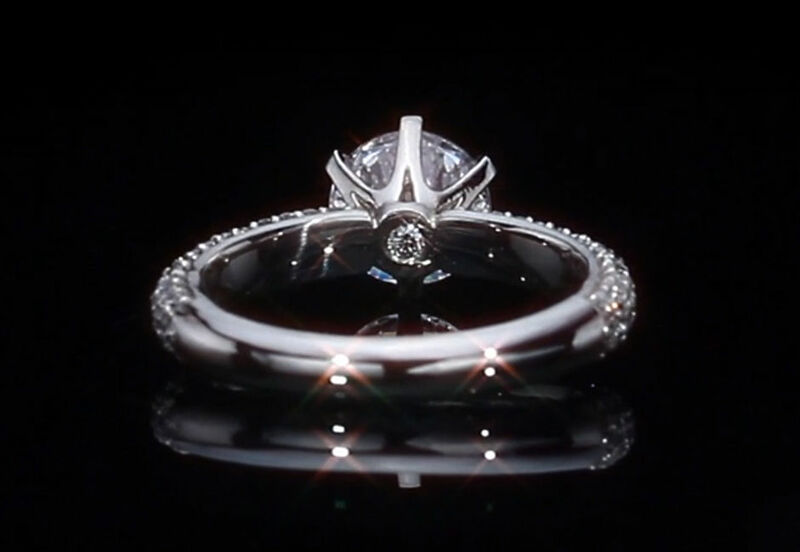 It's much more expensive to do this as it requires a separate mold for each and every center stone size, but by eliminating the weld and solder, we achieve a much stronger ring along with perfect alignment between the shank and center - in short a more perfect, lifetime ring! Rings with the welded prong head can fail, catastrophically, over time if the solder cracks or corrodes and thus allows the entire prong and center stone to fall out, resulting in both a wrecked ring and a lost center diamond/Amora! (One example in this thread). Note that the vast majority of rings are made with the welded head and shank - it's rare to have a true unibody ring.